As Parker Solar Probe – named for pioneering solar scientist Eugene Parker – rose from Launch Complex 37 at Cape Canaveral Air Force Station into the skies above Florida in the early morning hours of Aug. 12, the spacecraft was carried by a Delta IV Heavy rocket dedicated to another important team member of the first mission to “touch” the Sun. The exterior of the launch vehicle's second stage was marked with the words "In Memory of Andrew A. Dantzler." The Johns Hopkins Applied Physics Laboratory's Andrew "Andy" Dantzler, who died in 2011 at age 49, had served as project manager for what was then known as Solar Probe Plus. His leadership was instrumental in transitioning a previous mission concept, which involved a much different trajectory and power system, into the affordable, solar powered, Venus flyby mission – designed, built and operated by APL – now speeding toward the Sun. Before launch, APL leadership and members of Dantzler's family –including his widow, Erin; son Nicholas; mother, Barbara; sister, Kathryn; and brother, Steve – reviewed photos of the rocket's dedication and visited Launch Complex 37 to honor Dantzler's memory. "When my mother, my sister and I saw the pictures of the dedication, we were just blown away that they had put Andy's name on the outside of the rocket," said Steve Dantzler. "It was Andy's lifelong dream to work in the field of space exploration. He loved his job! It's fitting that this mission is a memorial to him. We felt truly embraced by Andy's friends and colleagues. Their kind and thoughtful appreciations of Andy touched us deeply. Every one of them is a pioneer – putting a spacecraft into orbit around a star: our star. We are honored to have been gathered with them to see it on its way." "Andy brought his experience and creativity to bear on the tough problem of getting a spacecraft to the Sun," said Mike Ryschkewitsch, head of the Space Exploration Sector. "Others had been unable to solve this problem with an affordable concept for 50 years, but he changed the conversation with ideas that led to the creation of the historic Parker Solar Probe mission. He was a smart engineer and a good leader. We honor his legacy with this remarkable spacecraft as we begin our seven year mission of discovery – a mission to touch the Sun." 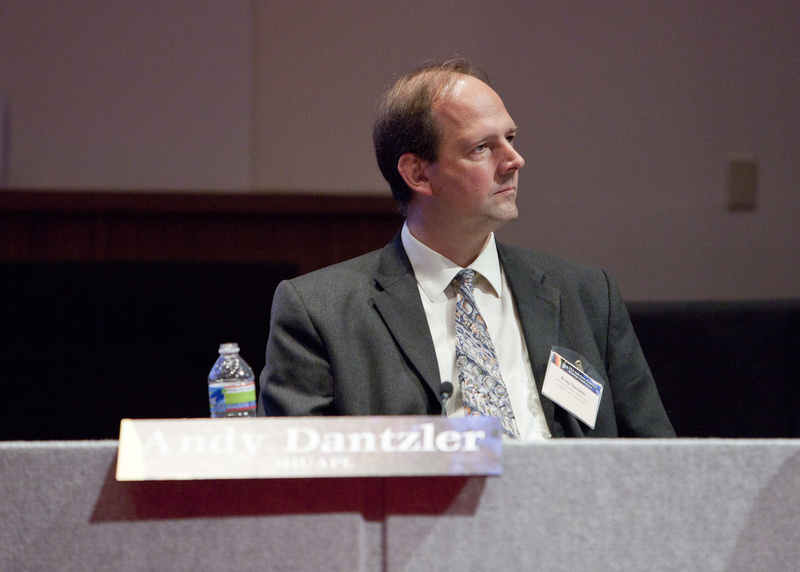 Before joining APL in 2006, Dantzler spent more than 20 years at NASA. At the agency, he served in many roles, including assistant chief of the Laboratory for High Energy Astrophysics at Goddard Space Flight Center, and led the Solar System Exploration Division at NASA headquarters. At APL, Dantzler eventually served as program area manager for the Civil Space Mission Area, where he oversaw missions such as MESSENGER, STEREO and New Horizons. "When the rocket lifted off I couldn't help but think that Andy should have been there," said Steve Dantzler. "But he was. We were all there because of Andy." Andy Dantzler joined Johns Hopkins APL in 2006 after more than 20 years with NASA. Here, he serves as a panelist at the Low-Cost Planetary Missions Conference, held at APL in June 2011. 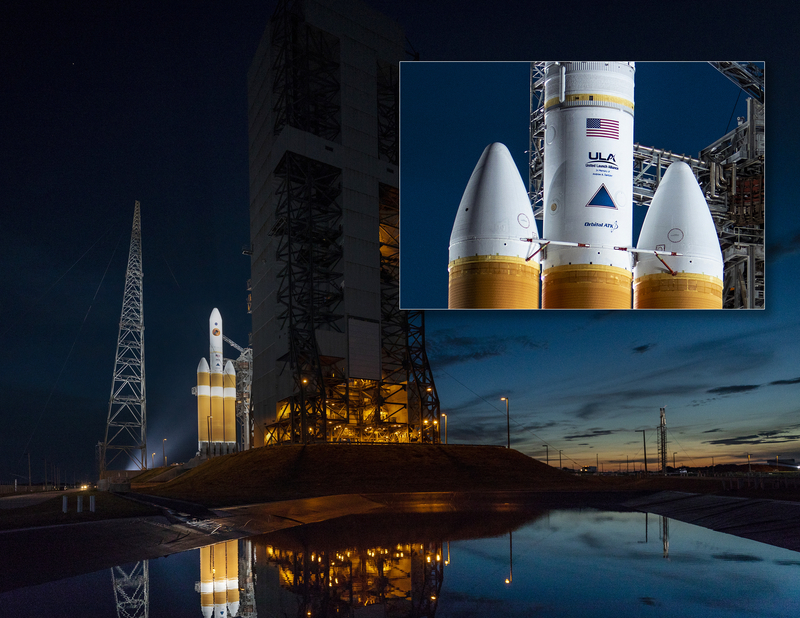 The Delta IV Heavy rocket that carried Parker Solar Probe on its mission to touch the Sun; inset of dedication to APL's Andy Dantzler.